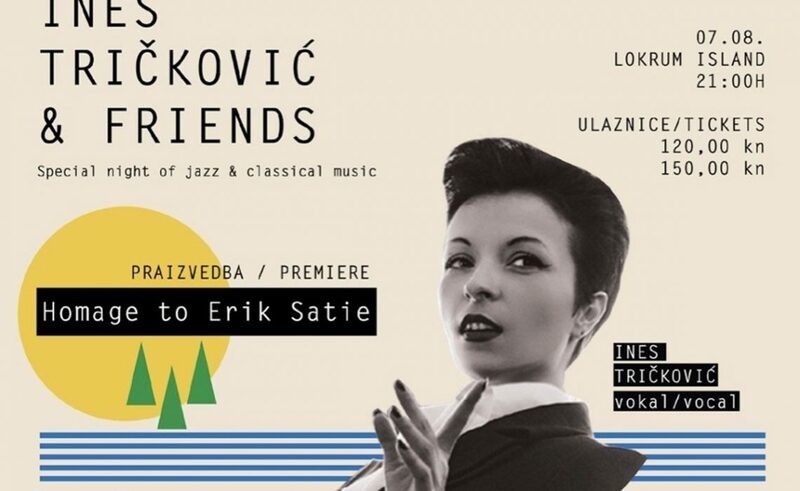 Lokrum Island Nature Reserve is proudly presenting the annual concert of Ines Tričković & Friends ‘Homage to Erik Satie’, which will be held on Tuesday, August 7th 2018 in the Monastery of St. Mary in Lokrum. Ines, a world-renowned jazz singer from Dubrovnik, prepares a special treat for his audience this year. 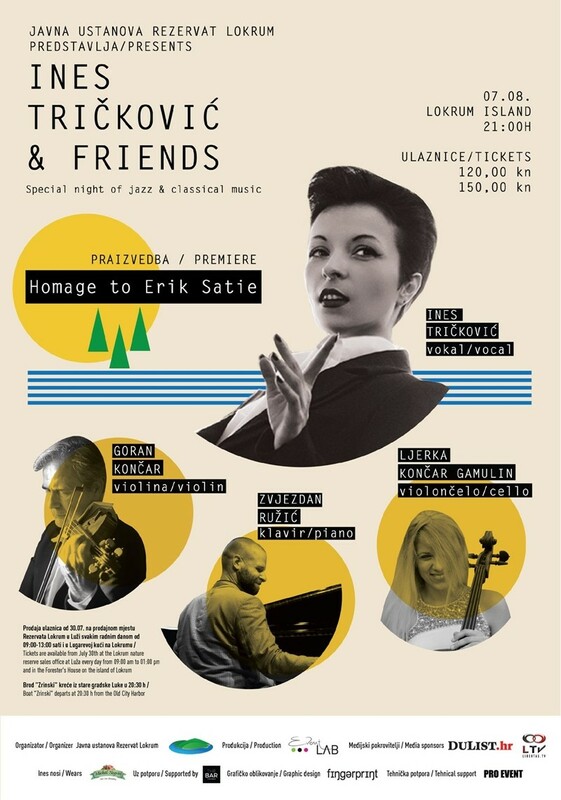 Together with amazing Croatian musicians Goran Končar (violin), Zvjezdan Ružić (piano) and Ljerka Končar Gamulin (cello) combines jazz and classical music in this special project entitled ‘Homage to Erik Satie’. 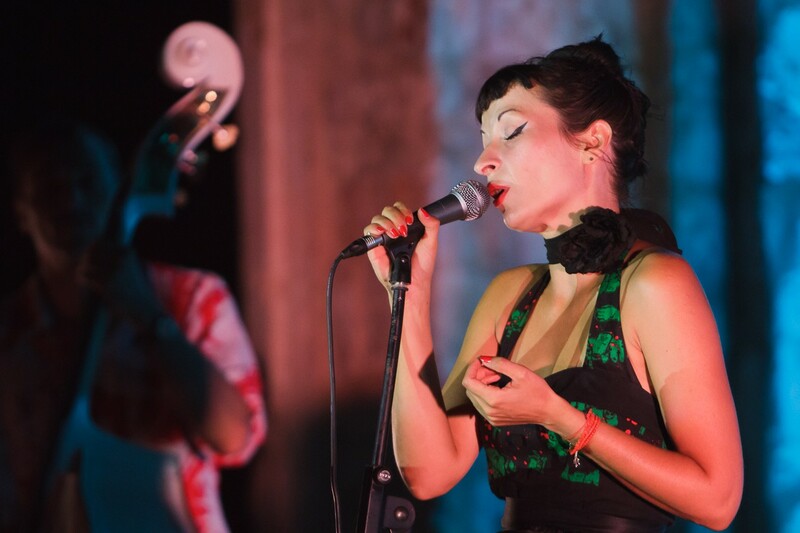 Apart from its standard role as a jazz singer, Ines has written all the lyrics to Erik Satie’s instrumentals for this occasion and this concert in Lokrum could be considered a premiere. The project is recognized by one of the largest publishing houses, Croatia Records, and album recording has already been agreed, while Dubrovnik and their visitors will have the opportunity to hear these works first. ‘I’m really excited about this concert! When you write the texts then part of your soul and emotion is transmitted to the audience and somehow you are sealed, hoping that the audience will recognize that emotion and react. I am happy and immensely grateful that I again have the opportunity to sing on the beautiful Lokrum’, Ines told us. Cooperation with the Lokrum Reserve started in 2016, and after Ines returned to her hometown. That year she sang in the renowned Carnegie Hall in New York, a hall where one can perform only with the invitation, and the only criterion for the performance in this famous location is excellence. During that year, Ines then brought the world-renowned musicians and programs to Lokrum. 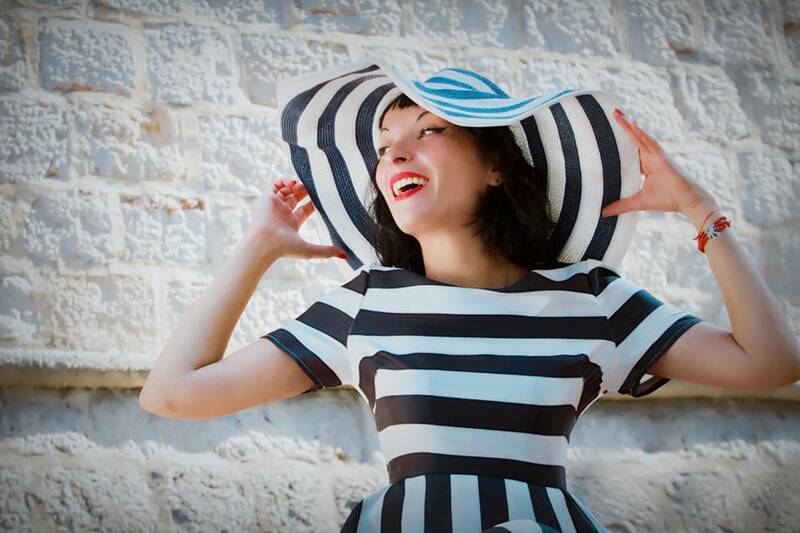 This concert was followed by the Cabaret ‘Lilibelle’ concert in 2017, an exceptional performance rarely seen by the Dubrovnik audience.